Will a mislabeled wine distort your blood alcohol content? 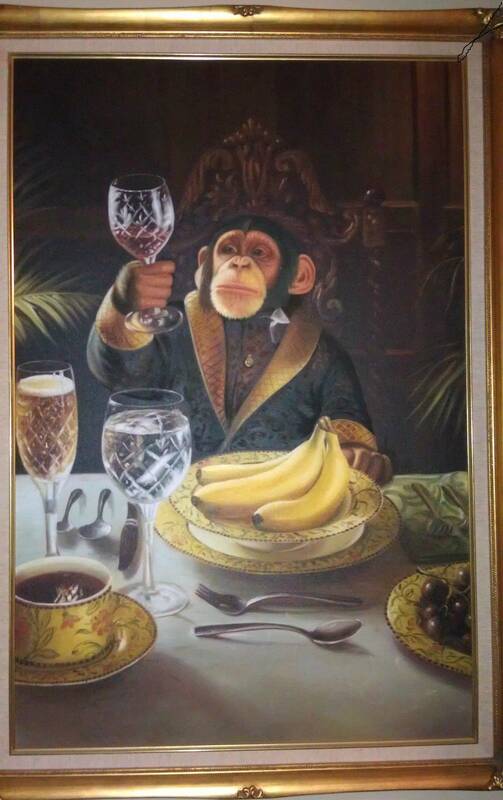 The international authority on chimpanzees taught me something about wine this past month. 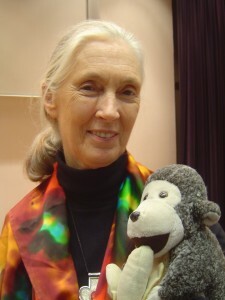 If you were fascinated with animals as a kid or even enjoyed reading non-fiction, you probably remember Jane Goodall; the story of the fearless young woman sallying out into the African forest to live with the chimps seems almost custom-made as an inspirational tale for young people (though it wasn’t). These days, Dr. Goodall spends her time as an environmental activist, traveling to speak about environmental protection and animal rights. She’s also an exemplary scientist-communicator and author, which is part of why the Centre for Science Communication, where I’m a graduate student, hosted her visit a few weeks ago. After the lunch she spent with us, getting back to my usual life of grapes instead of apes, I realized that Goodall hadn’t just been talking about apes but about winemaking, too. Or maybe it would be fairer to say that she was talking about life. Either way, the principles she invoked left me re-thinking what science does for wine. For all their potential triteness, they’re good reminders of basics that maybe too often get swept under the Next New Thing. You don’t need fabulous technology to do fabulous things – When Dr. Goodall first began studying chimpanzees, she famously went out into the forest with a pencil, a notebook, and what she describes as a pair of not-very-good second-hand binoculars. (And her mother as a companion, which Britain thought was prudent in 1960). By diligently noticing things, she became the contemporary mother of animal behavior. Though far from the only person to have made excellent breakthroughs with minimal technology, she’s a good reminder that not only can it be done, it can be done with spectacular success. Hearing her talk about her first days in what was then the British colony of Tanganyika, I couldn’t help but wonder: who would she be had she been born in 1984 or 1994 instead of 1934? First, mother or no, both safety concerns and lack of scientific training would have kept her out of the African forest. But let’s say that she was a very promising Master’s student doing field work from an established base camp. She’d be outfitted with geographic information systems (GIS) and GPS tools to map and track chimp movements and guard against getting lost. She’d have read papers telling her what to do and what to expect. And maybe she wouldn’t make the same vital observations because all of these tools might generate lots of numbers leading to lots of analyses that, for all their sophistication, might miss what her eyes could see. When wine writers wax eloquent over their transformative wine moments – the ones that made them first really notice wine, or the ones that keep them excited about devoting their life work to a beverage – the bottle at the center of the show is almost always a low-tech wine. Talk about stellar bottles of the 20th century and you won’t hear a list skewed toward the 1980’s and 1990’s when winemaking science and technology really bore fruit. Quite the contrary. The 1980’s and 90’s are represented on Decanter’s list of “100 wines to try before you die,” but so are the 1920’s, 40’s, and 50’s. In science, technology makes it possible to collect more data faster, and to collect types of data we weren’t able to see in the past. Good science, however, remains about making good, careful observations and about thoughtfully interpreting what they might mean. In winemaking, technology has made it possible to raise the average quality of the average bottle, to make consistently better wine and some kinds of wine (super high-alcohol bombs, for instance) we weren’t able to make in the past. Good winemaking, however, remains about making good, careful observations about what’s happening in vineyard and winery and responding thoughtfully. Sometimes, I think, technology and all those numbers it can generate get in the way. Formal training sometimes gets in the way of discovery – Goodall began her research with no university education to her name, having trained as a secretary when she couldn’t afford college. (She earned her PhD, sans bachelors degree, after making some of her key discoveries.) Because she hadn’t studied animal behavior, Dr. Goodall didn’t know that she was supposed to label her study subjects with numbers to maintain scientific objectivity instead of naming her chimps. She didn’t know that animals didn’t (or weren’t allowed to) have personalities. And so she saw the complexity of chimpanzee social interactions when no one else had because she hadn’t been trained not to see them. Making those “mistakes” actually helped. Degrees in enology and viticulture are useful. Knowing the chemical and biological principles involved in winemaking pave the way for making informed decisions, and that can be the difference between saving an early-stage problem and needing to dump a stinky vat. But it’s also obvious that making the best wine and having the best education don’t always go hand-in-hand. That observation is often used to support winemaking as an art rather than a science, but that’s a separate debate. Lack of training actually made Goodall a better scientist. Why? Because established theories about what she should see didn’t obstruct her ability to make astute, detailed observations. Science is about making observations, and so too is winemaking. Training in the ways things should be done may help turn out reliable, consistent wines that fit with established ideas about what wine is supposed to be, but it may also get in the way of seeing other possibilities, making fresher observations, and producing something beautiful and expressive and different. When was the last time you heard a winemaker you really admire talk about what he or she learned in school? Stories get things done – During the question and answer part of her visit I asked Goodall what, beyond her obviously delightful personality, she thought had contributed to her success as a science communicator. I imagined that she might recommend the power of hard work and tireless enthusiasm; no doubt both are important. But her actual response? Convince people with stories. Tell stories to help people not just see what you mean, but understand how you feel. Tell stories to get people to listen, because when you begin arguing, people stop listening and get wrapped up in planning how to win the conversation. We hear over and over again that wine is about story; that’s old wisdom. The business and marketing folk talk about using emotions and human connection to create stand-out brands. Wine writers talk about finding a good story to engage readers, their own form of marketing. But I think Goodall had an additional point. Stories teach by example. They show people how something is true rather than just (and often oppositionally) telling them that it is. Winemaking is a divisive game. Over and over again I hear from winemakers that there are as many solutions to a winemaking problem as there are winemakers trying to solve it. And meanwhile, scientists and educators are trying to persuade winemakers about their research and best practices, and wine lovers are trying to persuade each other about which wines are most “real” or “true” or just plain best. Storytelling is memorable and engaging, but it’s also persuasive. And maybe we’d all get along a bit better, and be more convincing, if we tried to talk to each other through stories instead of arguing so much. Goodall’s stories – because she, masterfully, had a story for every occasion – provoked our compassion and our anger and our lovingness, sure, but they also taught us something. 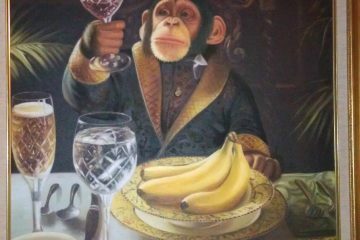 About chimps, about science communication, about humanity and, at least in my case, a little about wine science.